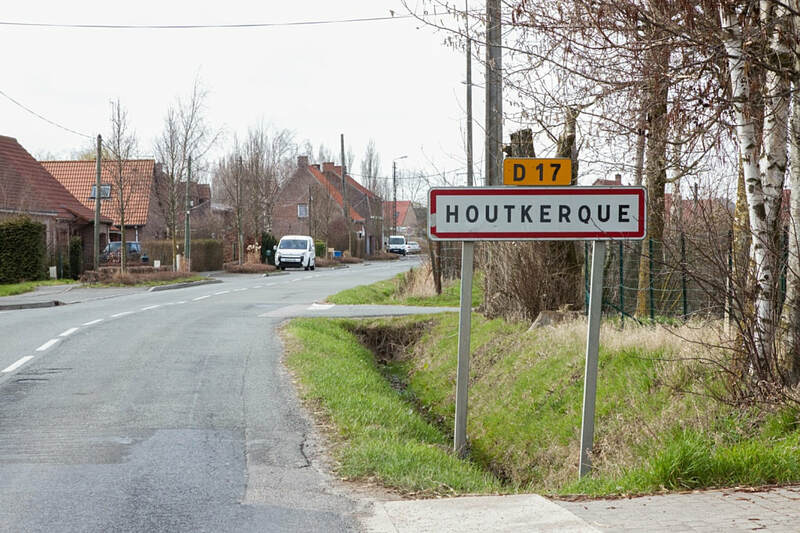 Houtkerque is a village in the Nord Department near the Belgian border, 8 kilometres north of Steenvoorde, on the Steenvoorde/Honschoote road. 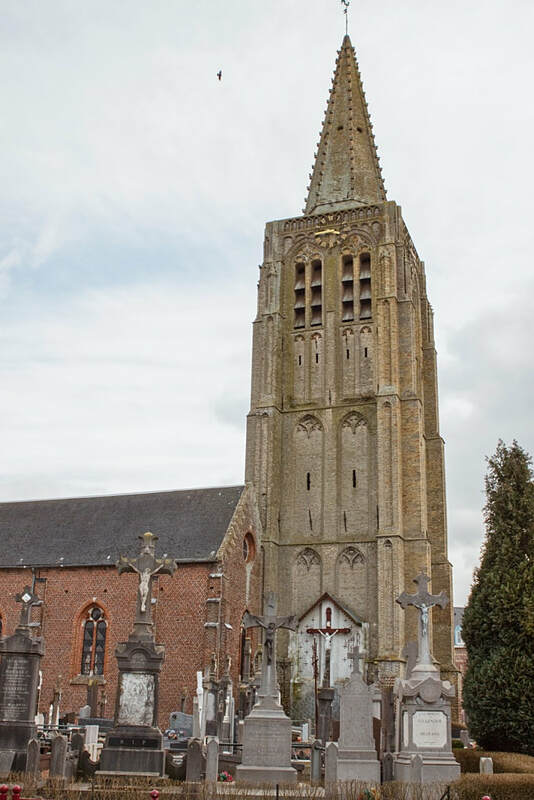 The 7 Commonwealth war graves are contained in the section to the left hand side of the church. 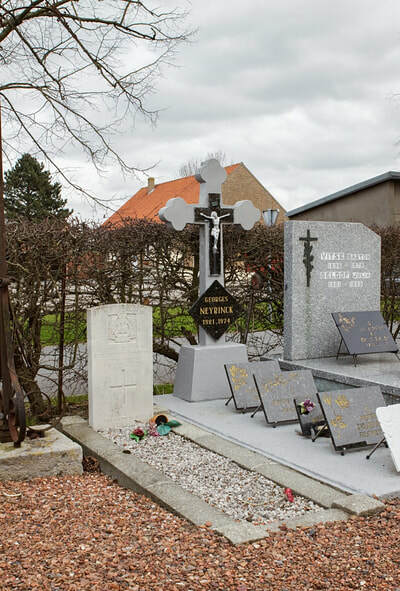 One plot of 4 graves are in the second aisle on the left, and three single plots are on the rear right hand side. 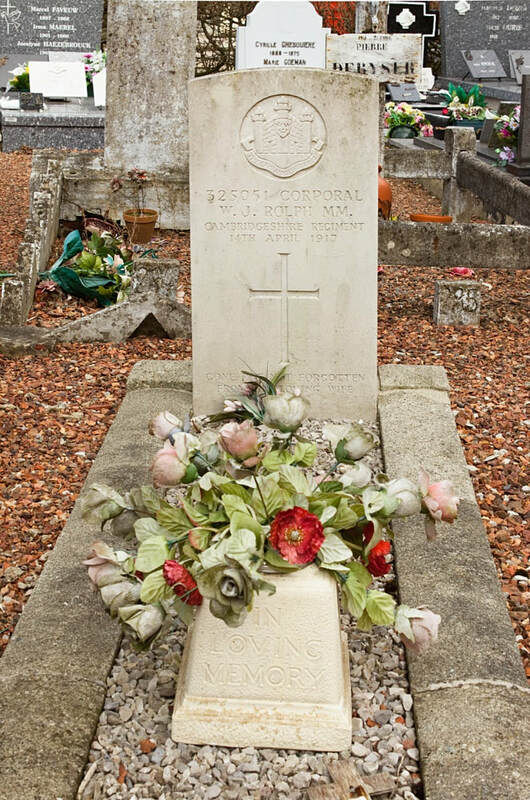 11044 Private Patrick Behen, 2nd Bn. 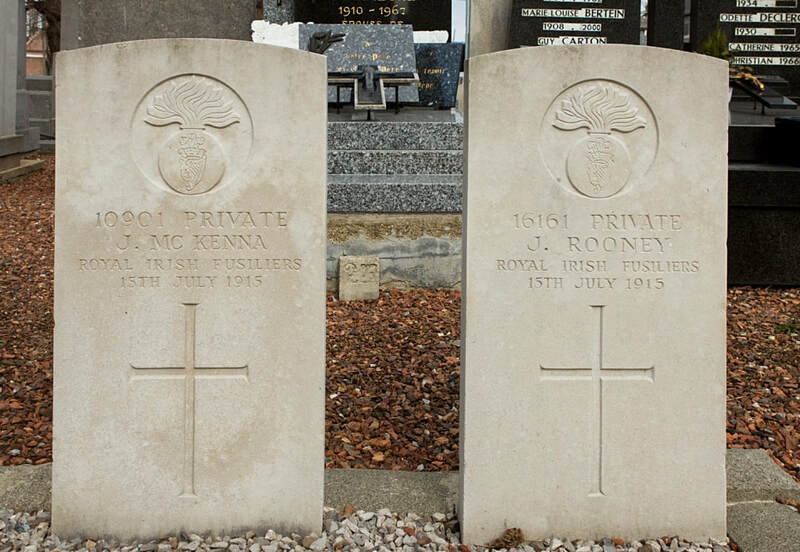 Royal Irish Fusiliers, died 15th July 1915, aged 24. Son of Patrick and Lottia Behen of Dublin. 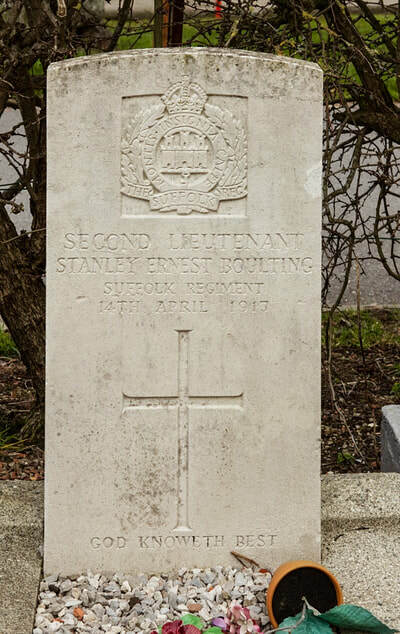 Second Lieutenant Stanley Ernest Boulting, 4th Bn. Suffolk Regiment attached to 118th Trench Mortar Battery, died 14th April 1917, aged 24. 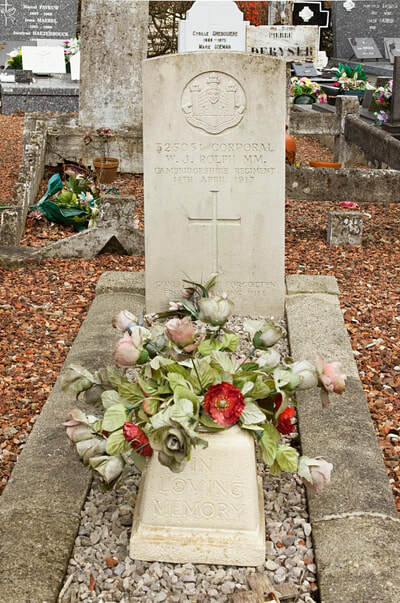 Son of George and Elizabeth Boulting. 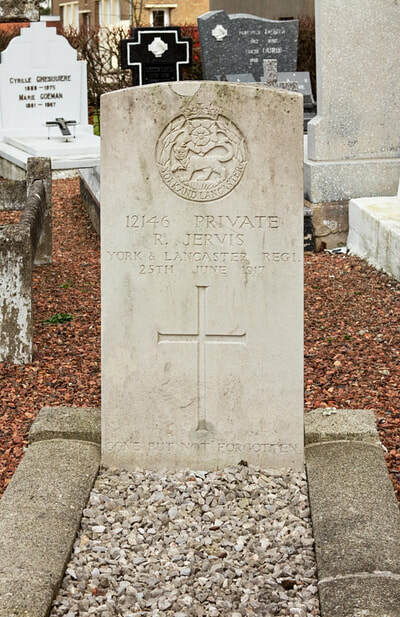 12146 Private R. Jervis, 6th Bn. 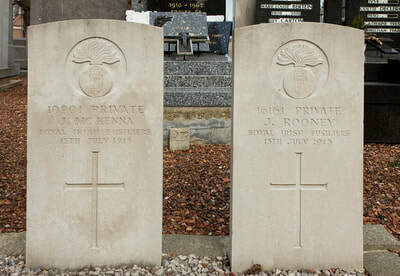 York and Lancaster Regiment, died 25th June 1917. Husband of Mrs. S. Jervis of North Road, Ranskill, Doncaster. 10901 Private James McKenna, 2nd Bn. 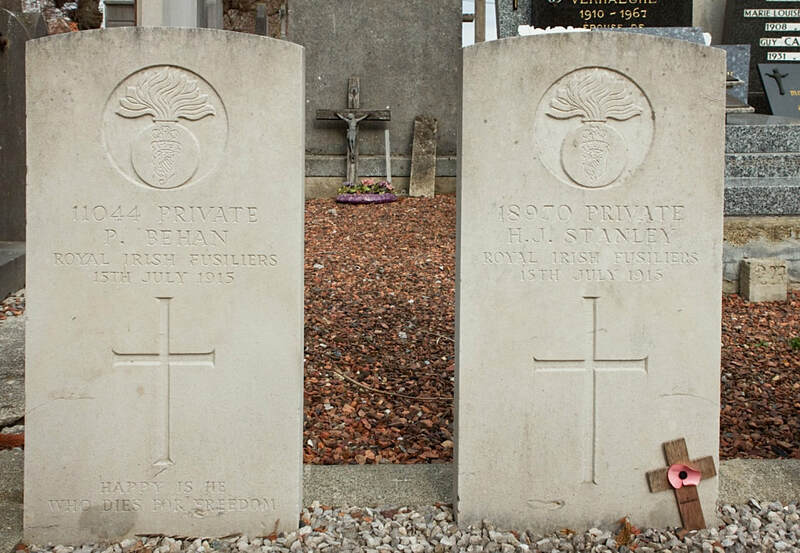 Royal Irish Fusiliers, died 15th July 1915, aged 22. Son of James and Mary Ann McKenna. 325051 Corporal William James Rolph, M. M. 1st/1st Bn. Cambridgeshire Regiment attached to 118th Trench Mortar Battery, died 14th April 1917. Husband of G. D. Rolph of Whitehall Farm, Brigstock, Thrapston, Northants. 16161 Private J. Rooney, 1st Bn. Royal Irish Fusiliers, died 15th July 1915. 18970 Private Henry James Stanley, 1st Bn. 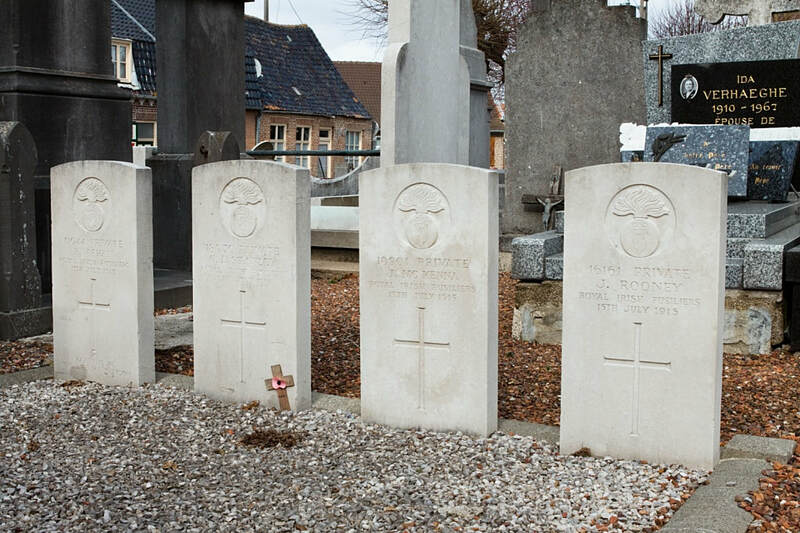 Royal Irish Fusiliers, died 15th July 1915, aged 18. Son of W. Stanley (late Sgt. Instr. Royal Scots Fusiliers) and Mrs. M. A. Stanley of 14 Randolph Road, Upper Parkstone, Dorset.